The “Montecristi hats” also known as “Panama hats,” became internationally known when President Theodore Roosevelt wore one during the inauguration of the Panama Canal in 1914. The canal workers also wore these hats to protect themselves when working long days under the blazing sun. The hats, originally made in Ecuador, became popular in all neighboring countries because of their soft and light material. They are hand made in Montecristi, a coastal, tranquil village with steep streets dotted with handicrafts shops in the province of Manabí. They are mainly crafted from the plaited leaves of the Carludovica Palmata Plant, known locally as the toquilla palm or jipijapa palm, although it is a palm-like plant rather than a true palm. In Montecristi NEO met and spoke to one of these artisans, Mr. Freddy Pachay who told us that the family business started 80 years ago with his grandfather, Mr. Abraham Pachay who knitted the hats and gave them the final touch before putting them on the market. The small handicraft enterprise was inherited by Mr. Galo Pachay, his son who continued and expanded the business with the help of the men and women weavers he carefully selected. Today, his son Freddy Pachay, a Government of Ecuador Certified Artisan is in charge of the business. He is a third generation craftsman selling his hats to buyers in countries such as USA, Greece, Germany, France and Spain among other places. The hats have different price value according to their size, quality and the intricacy of the weaving. Depending on the complexity of the weaving, it can take two to six months to create a hat. There are three stages for their production. 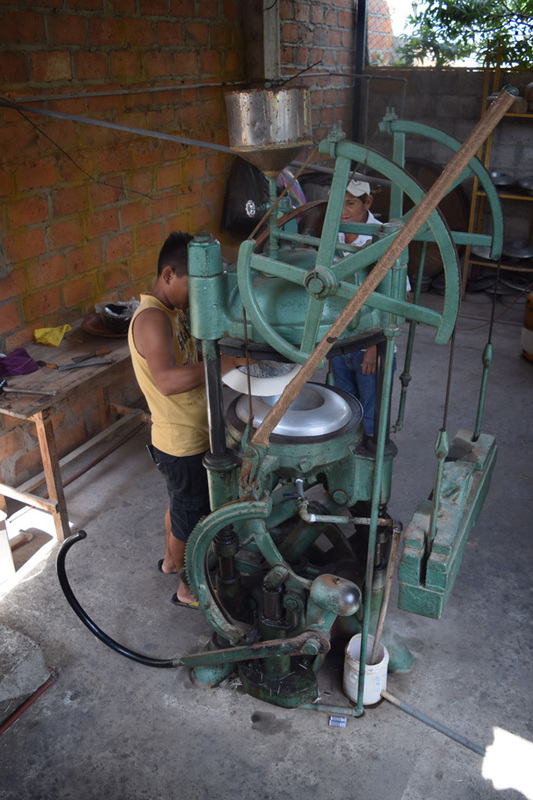 In the first stage, the toquilla plant leaves are carefully gathered and converted to material from which the hat is made of. The second stage is the actual making of a semi-final product and in the third stage the hat is finally given the final touch before it is ready to be sold. 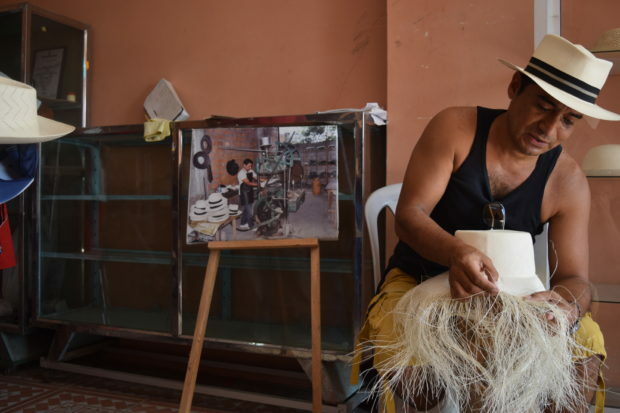 In addition to the Pachay family there are many other qualified artisans who produce these hats not only in Montecristi but also in Pilé, a village nearby. The Montecristi hats have been designated by the United Nations Education, Scientific, and Cultural Organization (UNESCO) as Intangible Heritage of Humanity. 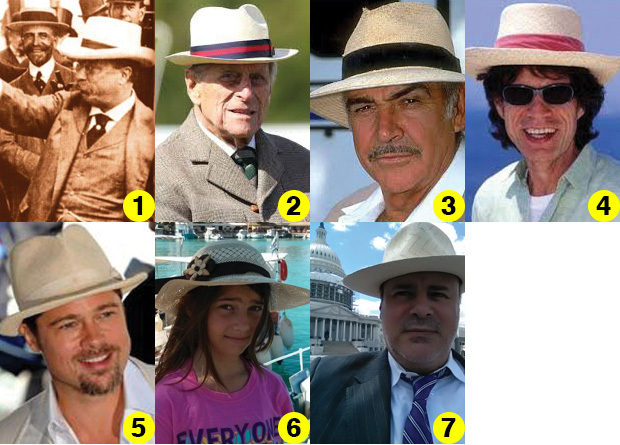 1 – Sombrero-panama …) President Theodore Roosevelt; 2 – Philip, Duke of Edinburgh; 3 – Sean Connery; 4 – Mick Jagger; 5 – Brad Pit; 6 – Kyriake Rompotis with one of Mr. Pachay’s hats in Lefkas Island, Greece; 7 – And last but not least, NEO’s Demetrios Rhompotis!